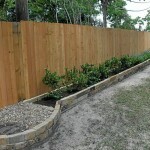 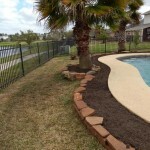 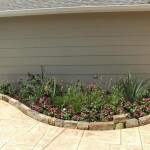 All of our borders are layed on a granite gravel base for stability and to raise bottom border flush with grass line. 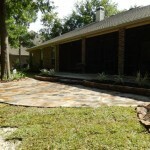 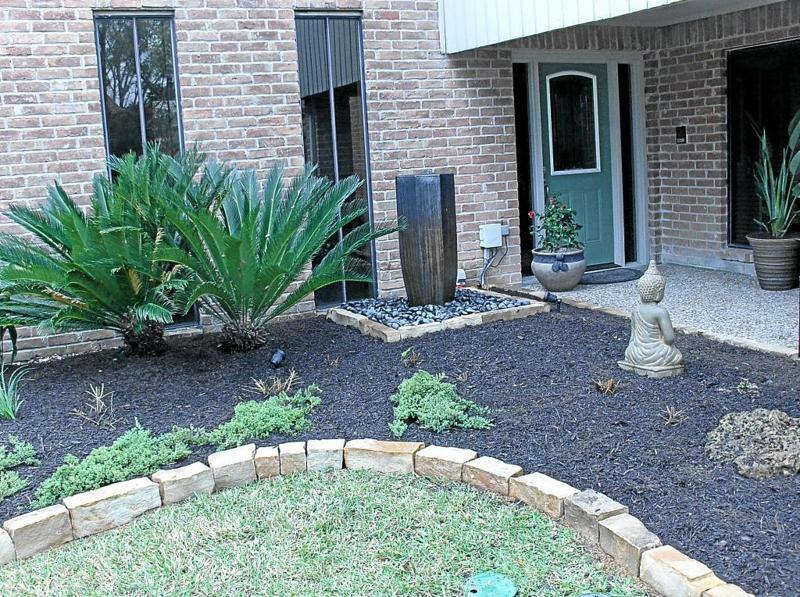 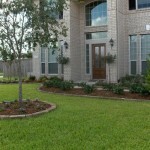 The two types of natural stone are moss rock and chop rocks. 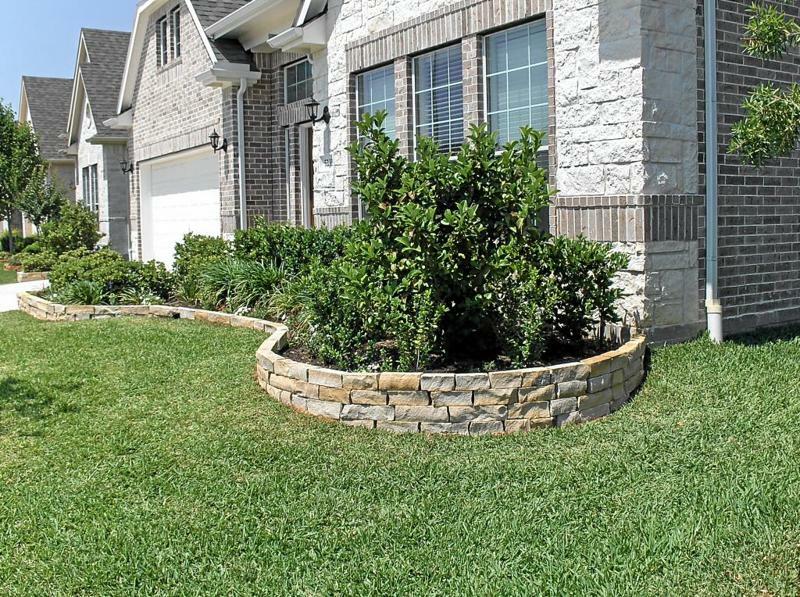 Moss stackers are typically two courses approximately 6″ high. 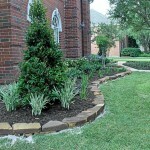 Thicker stones are available. 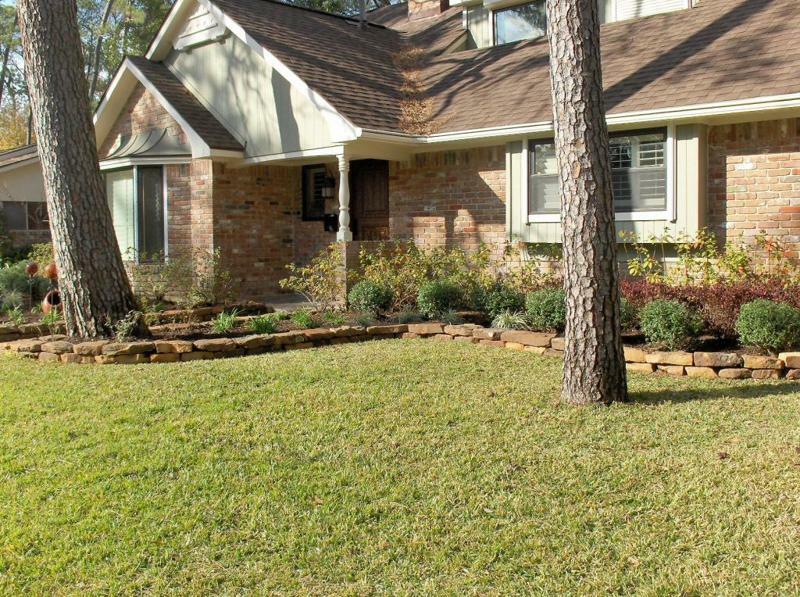 Chop rocks are either tan, gray, or limestone colors. 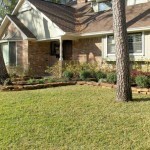 Usually single course with typical thickness at 4″ to 5″ and same on depth. 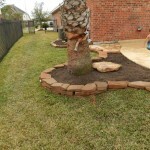 Another option is to place a single moss rock boulder in varying increments to change the elevation. 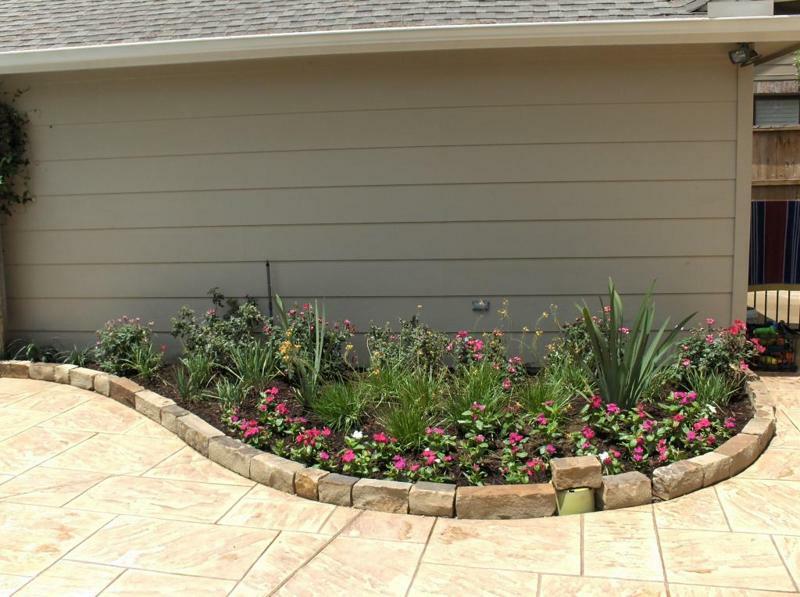 Also it is very common to add additional courses on corners to adjust for the elevation. 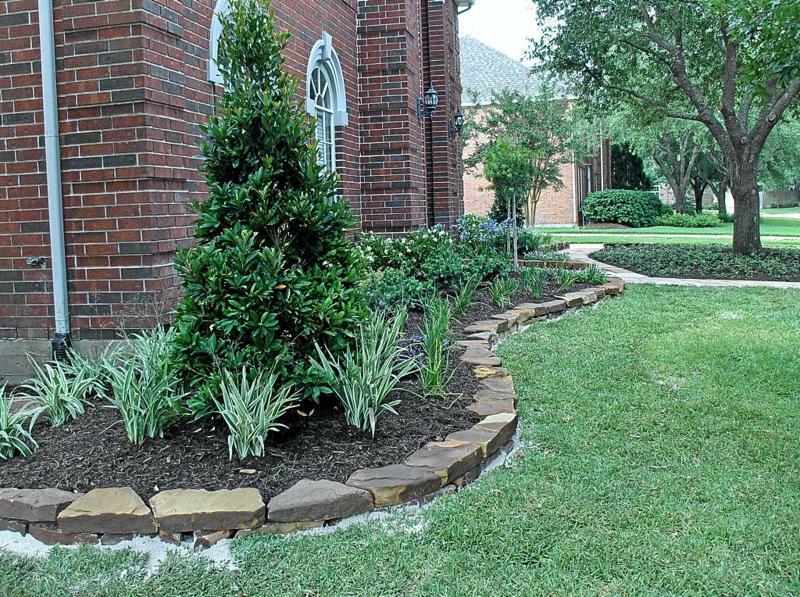 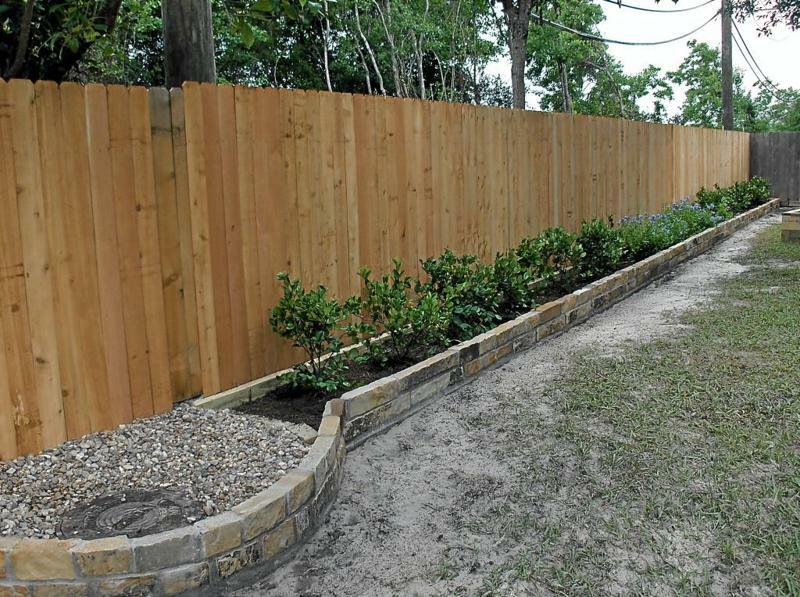 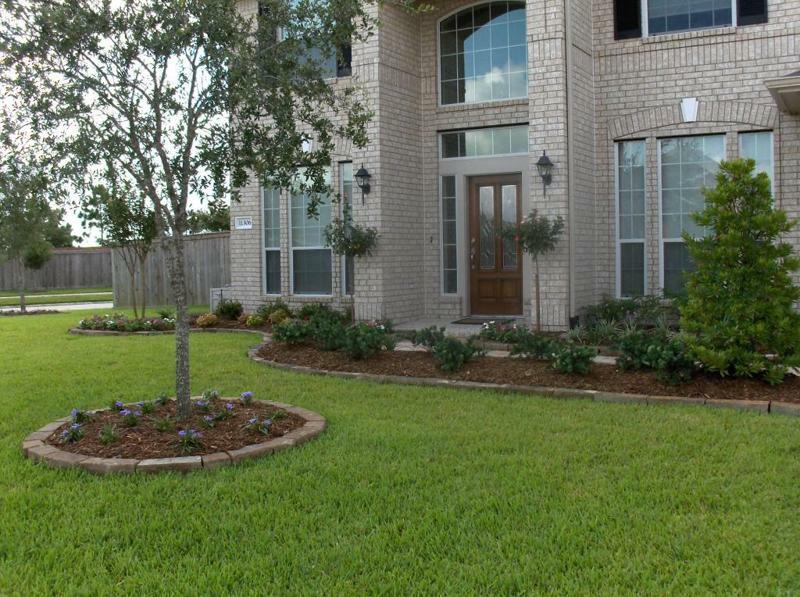 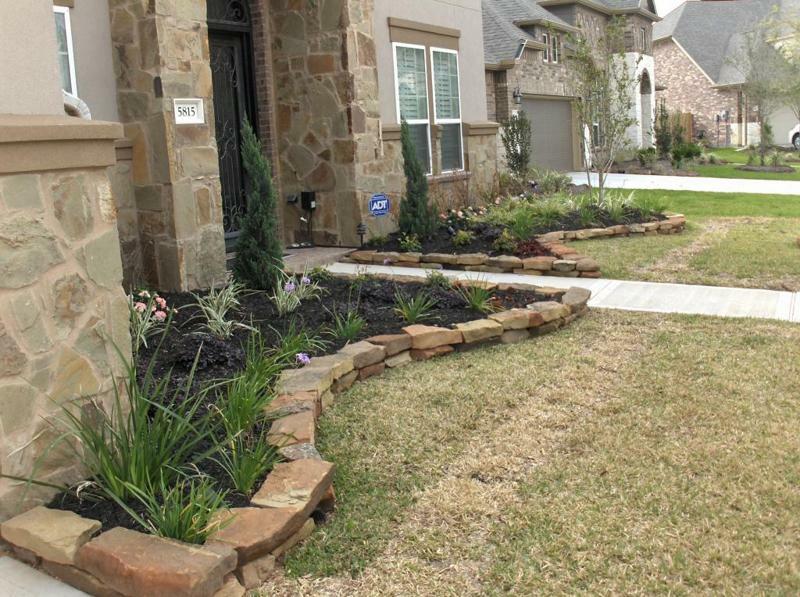 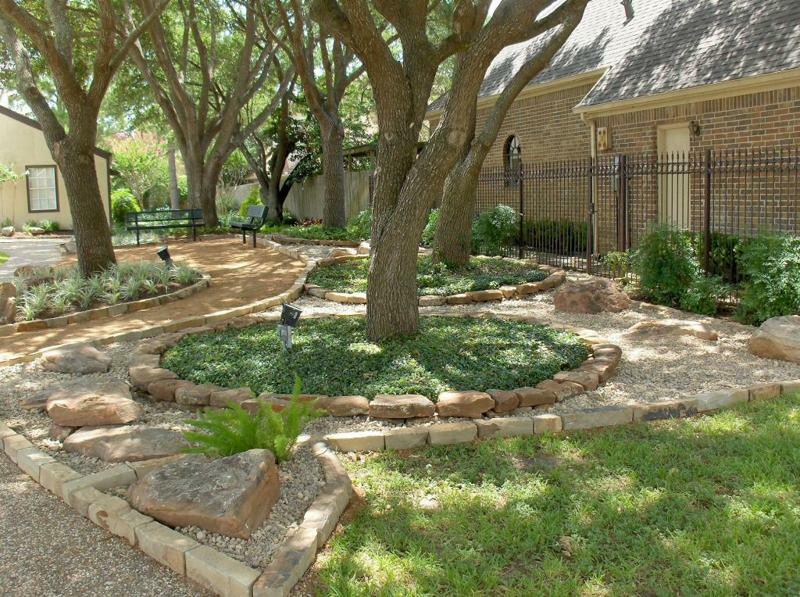 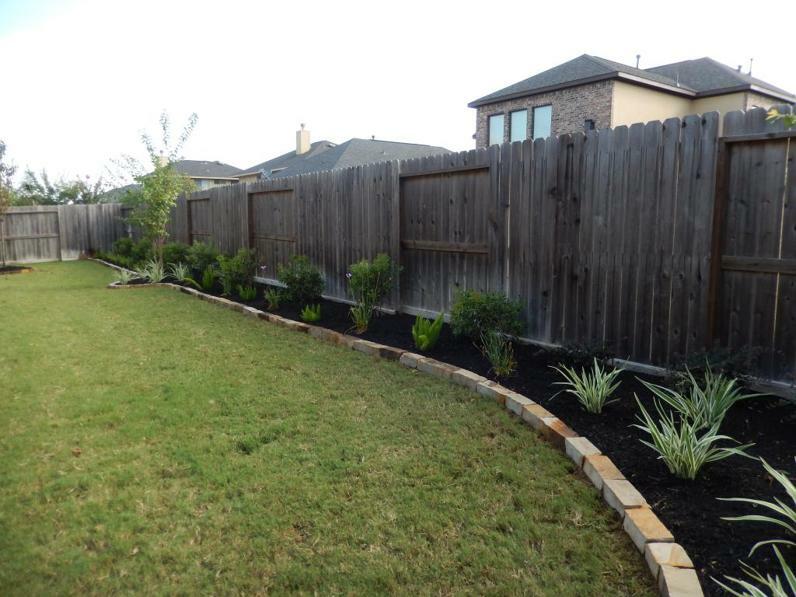 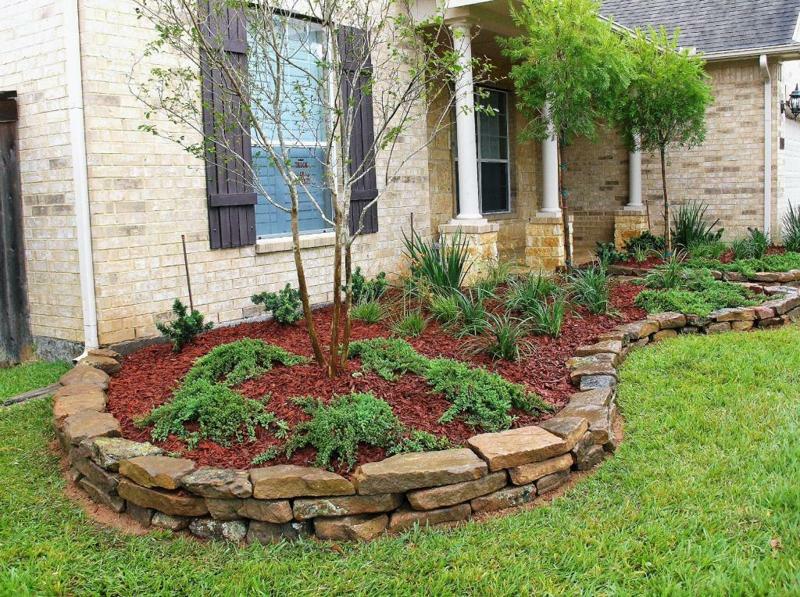 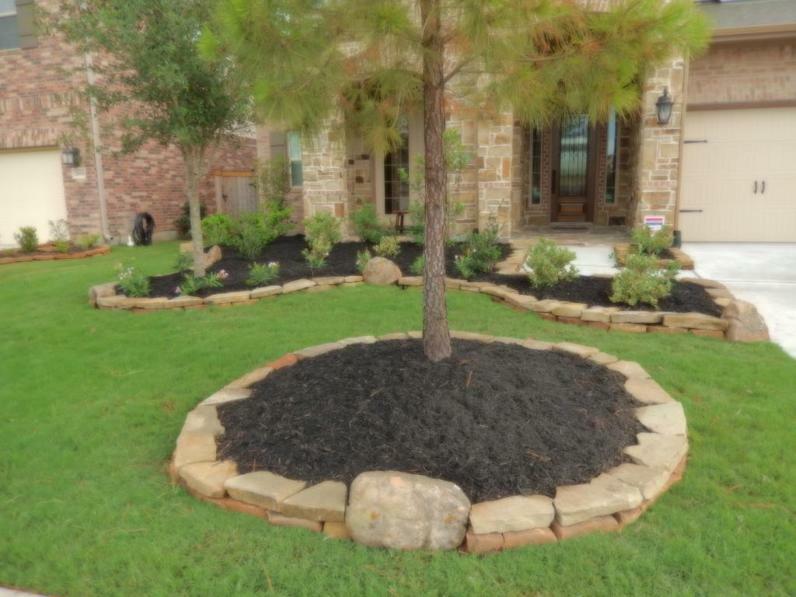 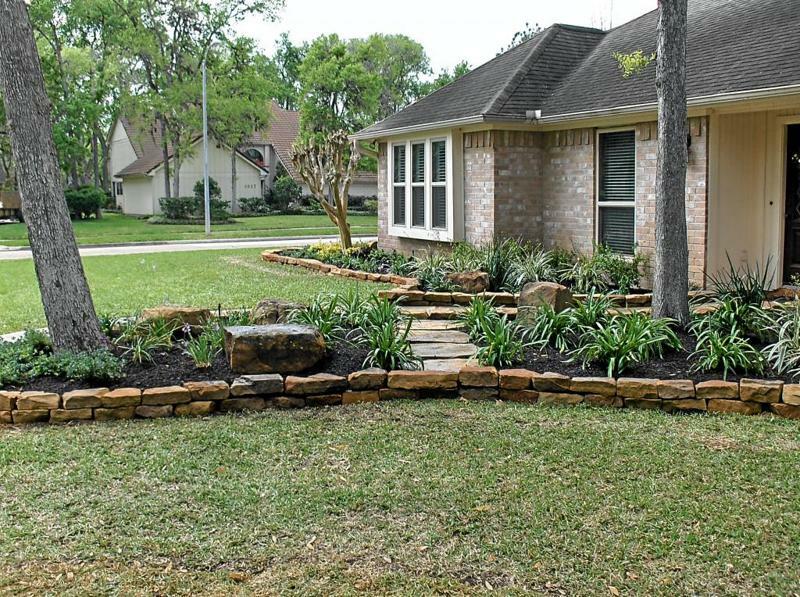 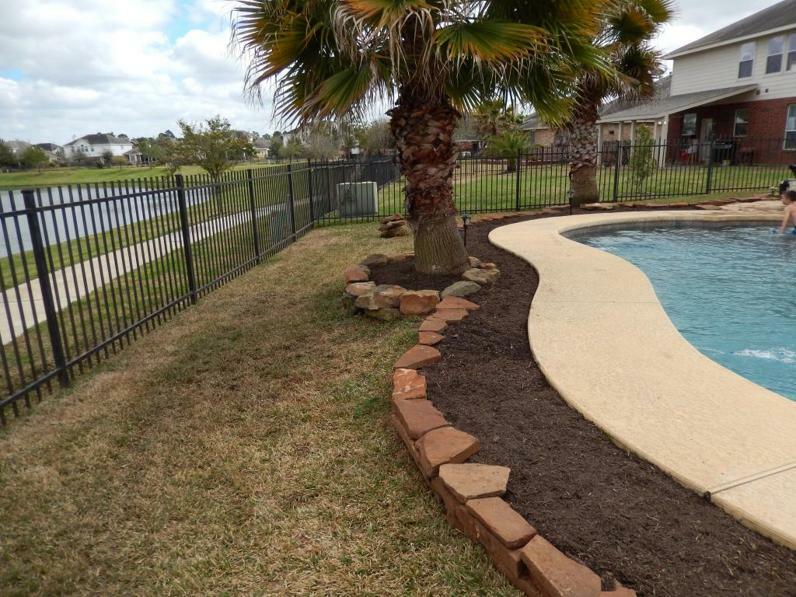 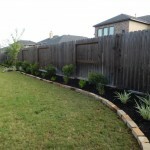 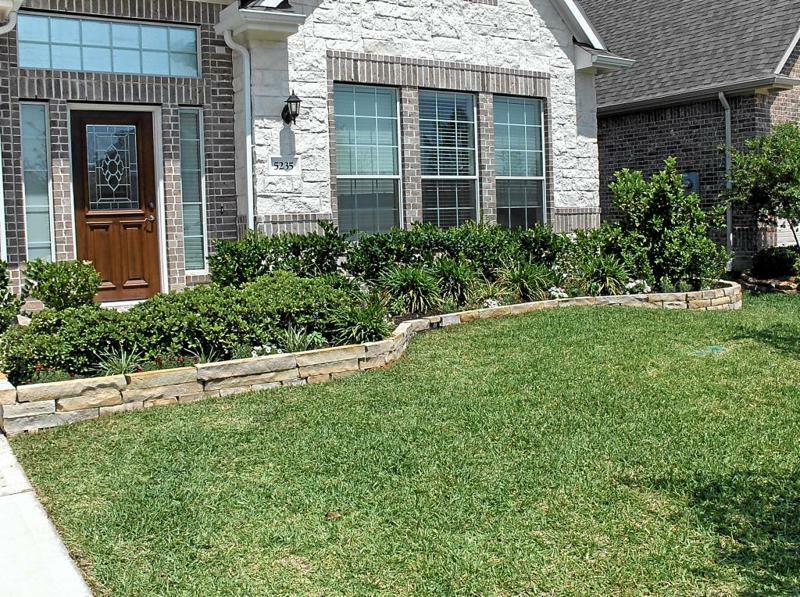 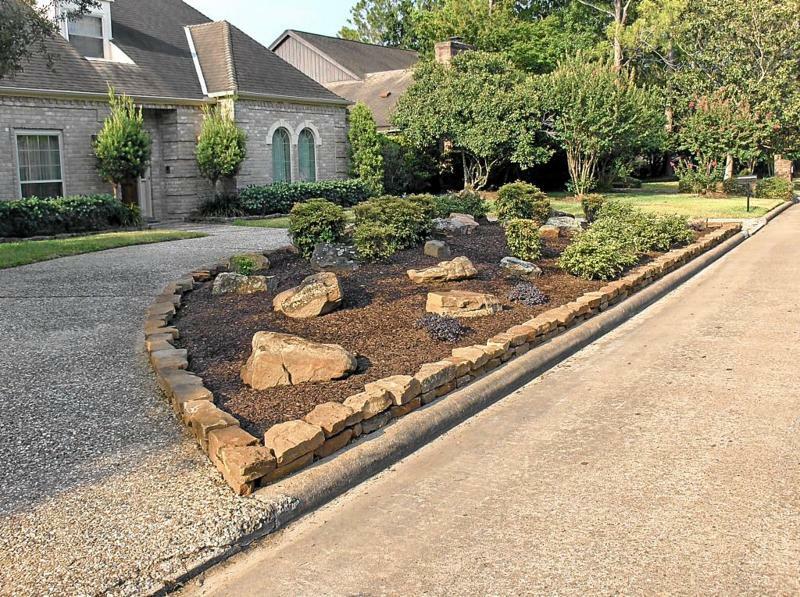 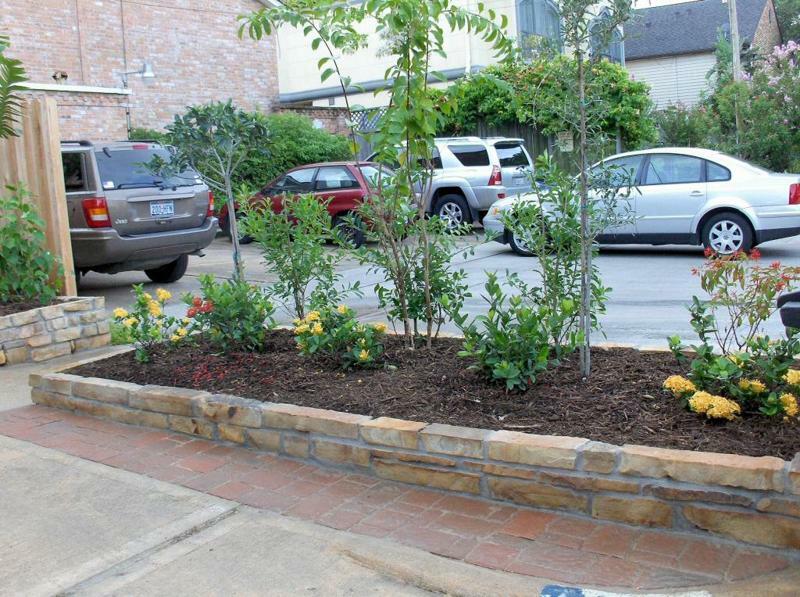 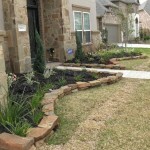 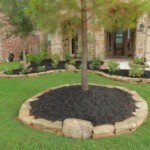 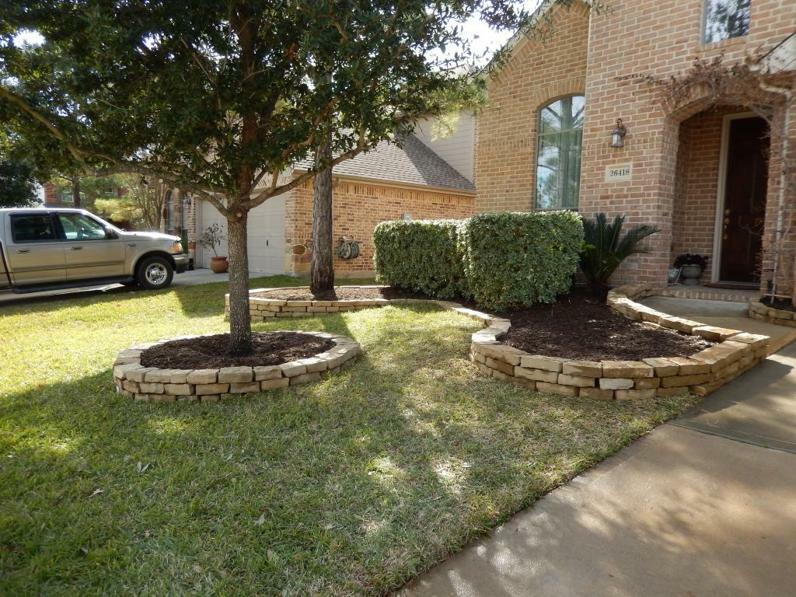 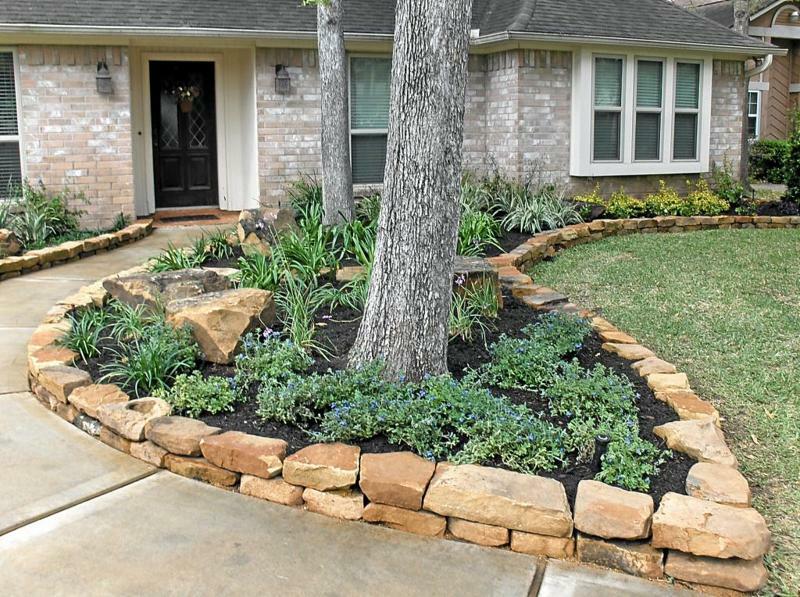 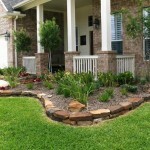 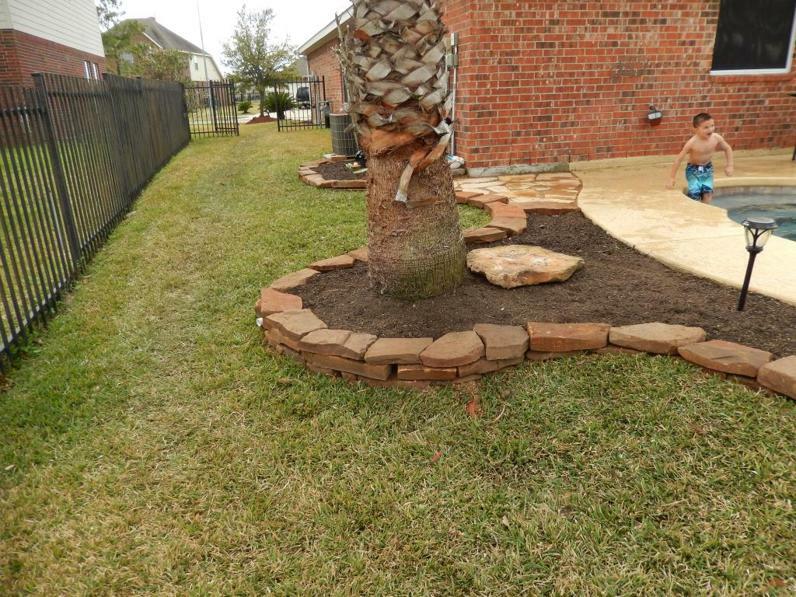 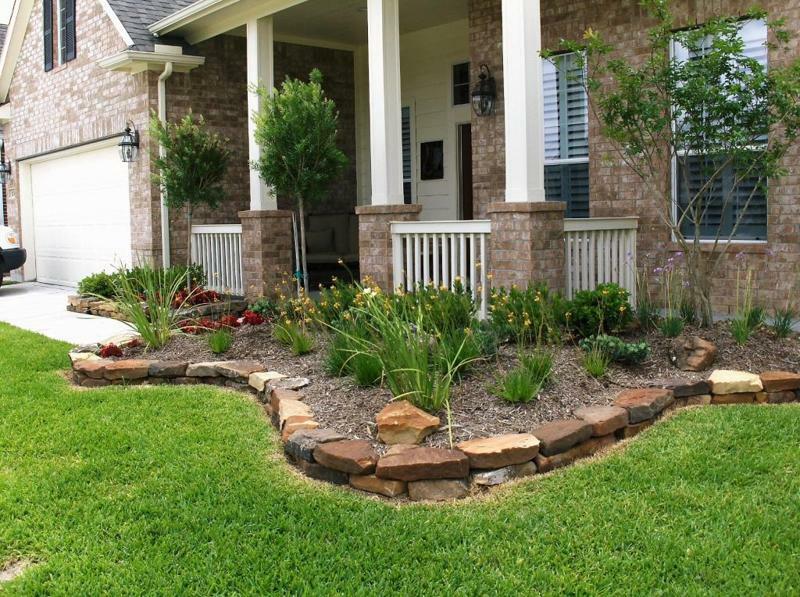 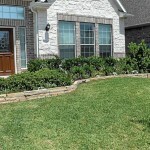 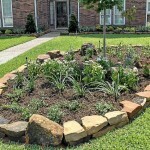 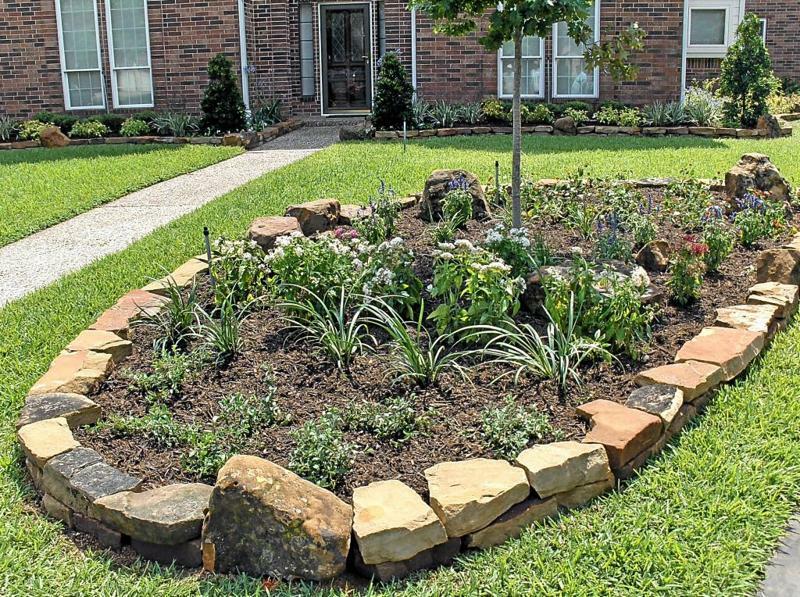 Oklahoma chop rock bed borders with landscaping. 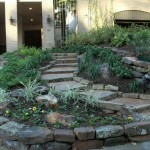 Moss rock terracing and borders with flagstone steps and landscape. 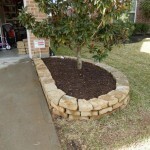 Double moss stackers with moss rock interims. 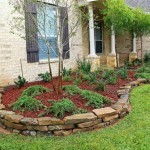 Moss rock bed borders with basket boulder interims. 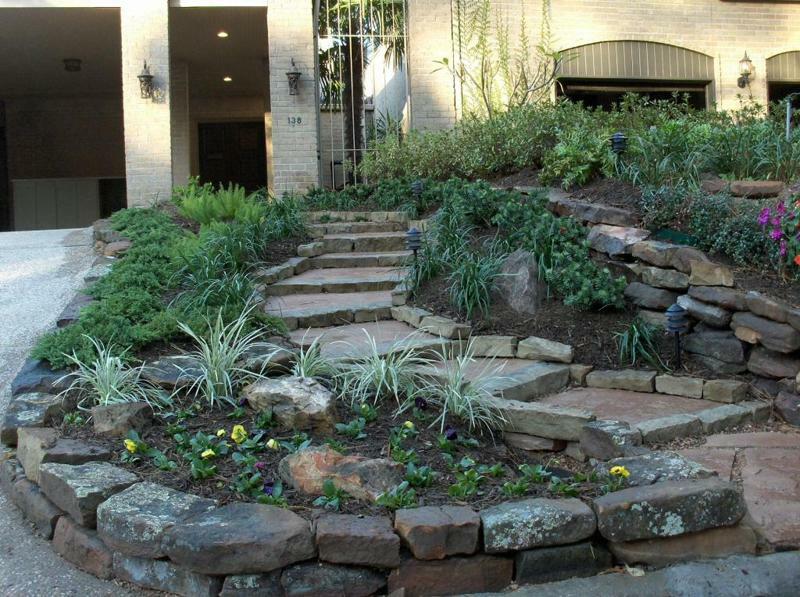 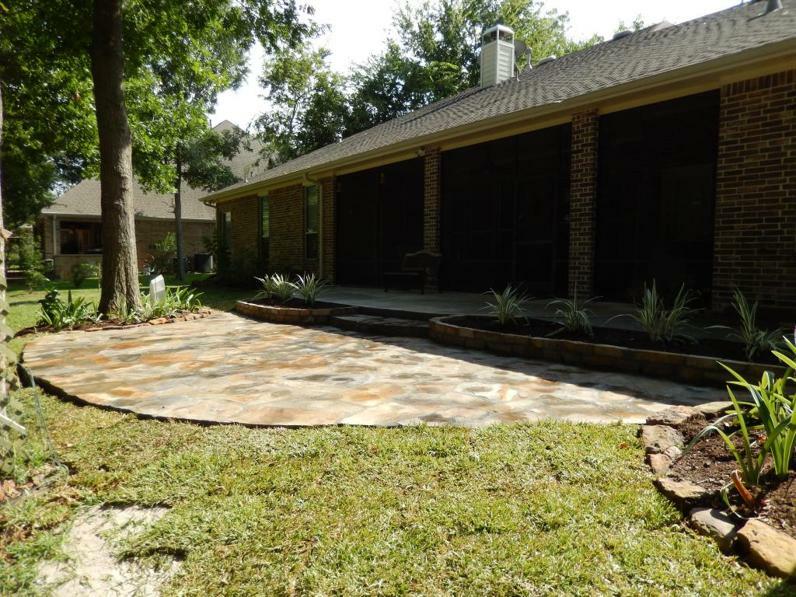 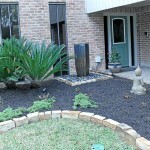 Disappearing water feature, landscape bordered with oklahoma chop rock. 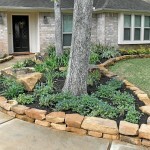 moss rock bed borders and landscape. 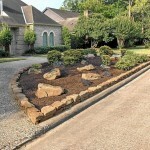 Moss rock bed borders with landscape. 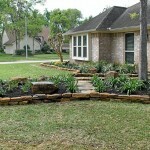 Double moss rock bed borders and landscape. 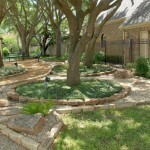 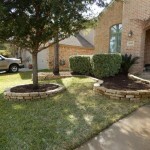 Oklahoma chop rock borders along walkway and moss rock tree rings with moss boulder settings and landscape. 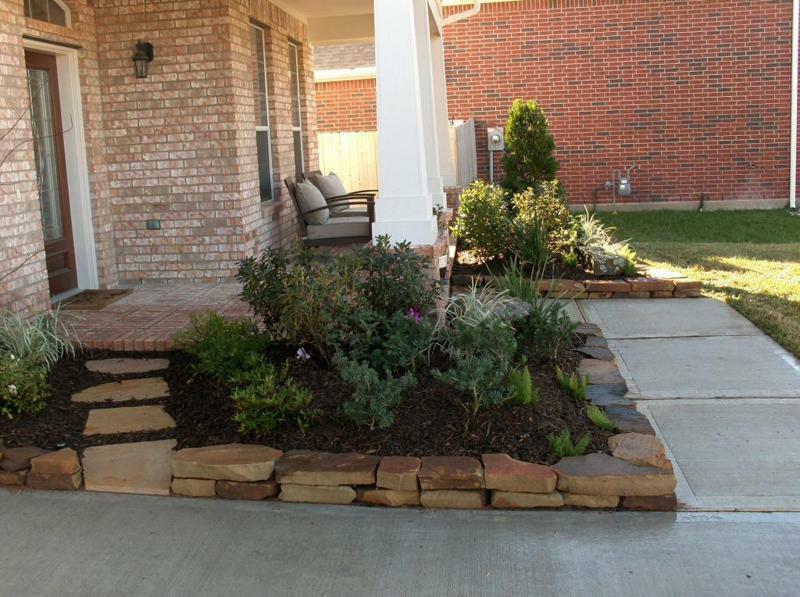 Oklahoma chop rock retainer wall. 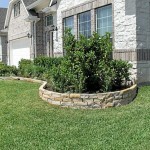 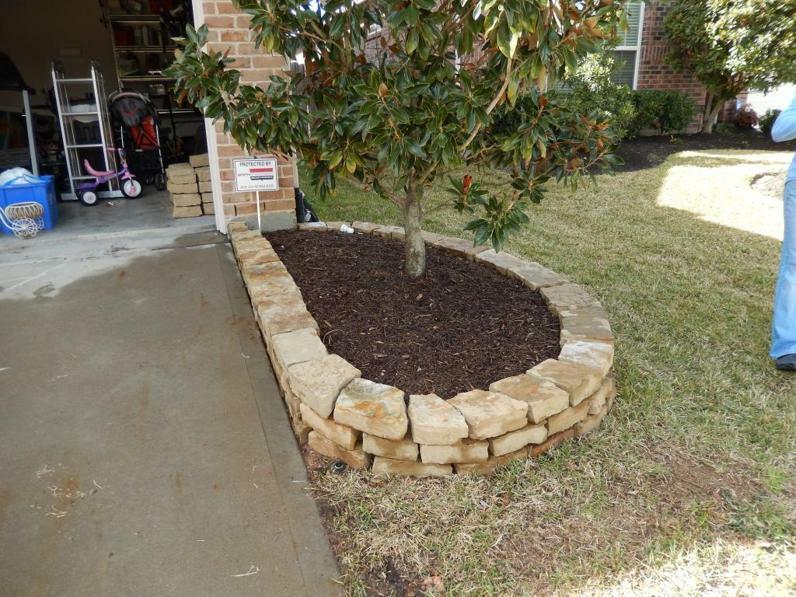 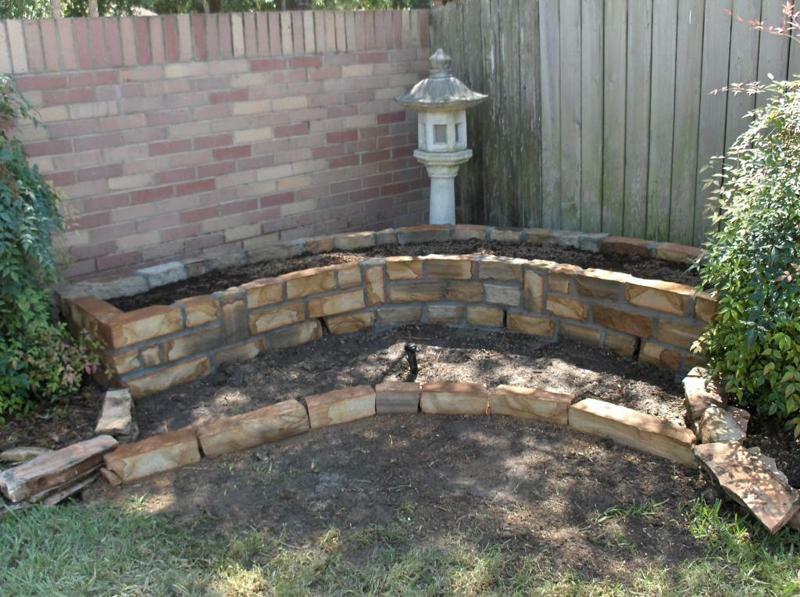 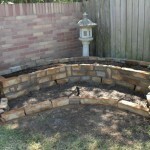 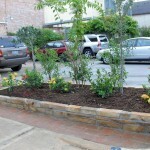 Oklahoma chop rock Planter with chop rock borders. 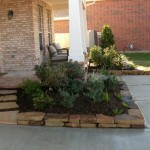 Oklahoma chop rock planter box.